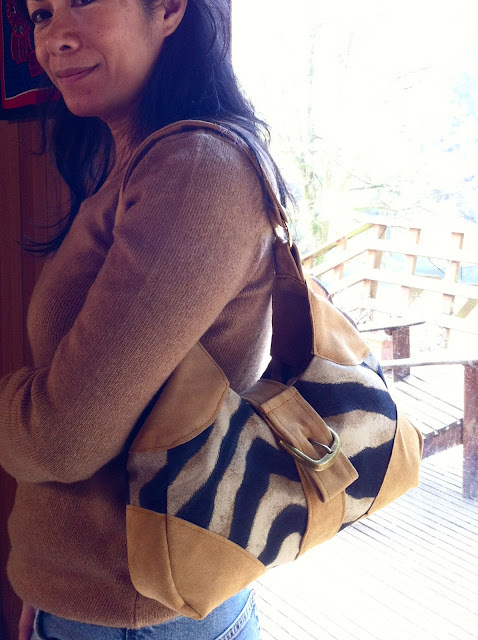 When I finished this purse I showed it to my daughter and she said, "Oh, I like it! That looks like something you would keep your lipstick in when you go on safari!" Ha! I have never been on safari, but I suppose there might be those ladies who would still keep their lipstick close at hand. 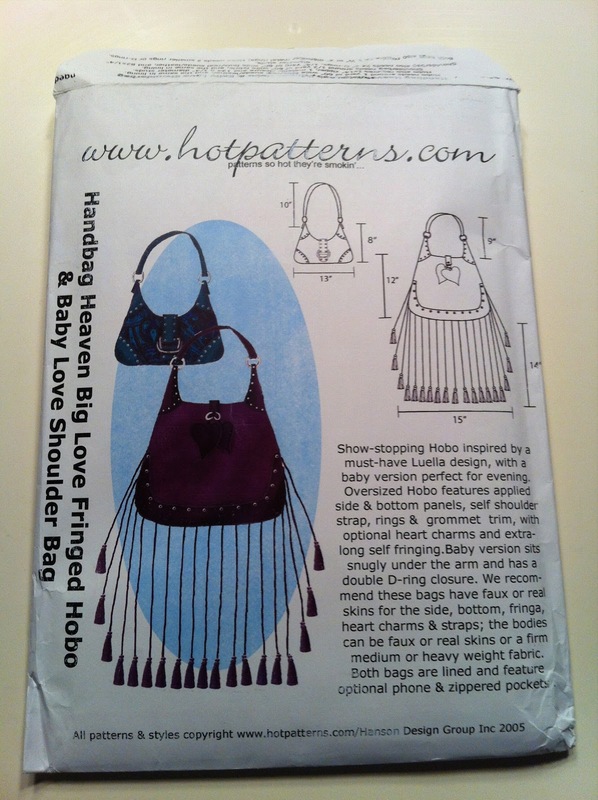 This pattern is from HotPatterns Big Love Fringed Hobo & Baby Love Shoulderbag. I got it because it was on sale, and so now it is no longer available from HotPatterns, I'm sorry to say. But they do have lots of other very nice bag patterns. It was not easy choosing the materials to make this bag. Since I don't like to take the trouble to change bags often, I would want my bag to go with just about everything I would wear. I love leather and it's not easy to find bags made with real leather anymore. The pigskin suede I used for this bag came from Fabricmart.com, and the zebra-print cotton canvas probably did, too. I was so proud of myself for choosing a special leather needle, but I probably needed to have an even sturdier needle for this suede. The needle seemed to stick to the suede slightly, and my stitches are not at all as even as I would like. 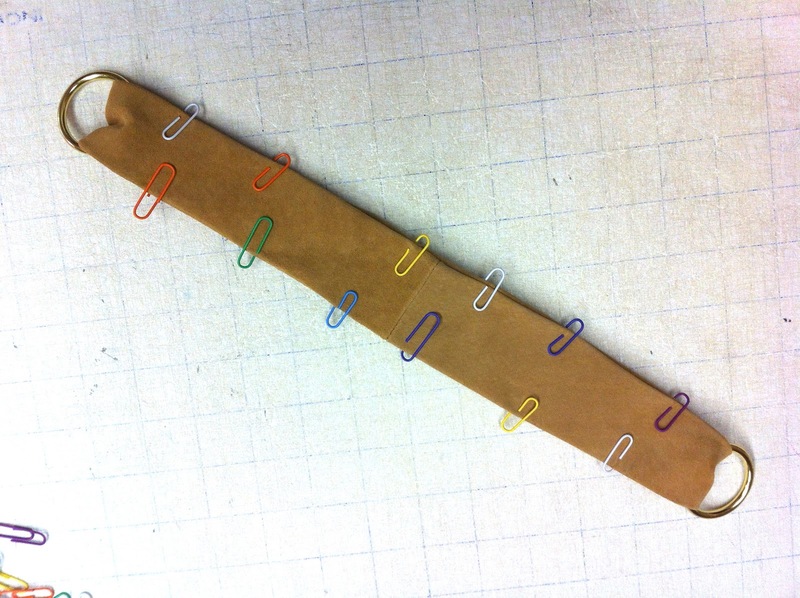 Seam allowances colored red are the ones to trim off leather pieces. Also note the side lining piece, possibly mis-labeled. It should read, Baby Love, not Big Love. 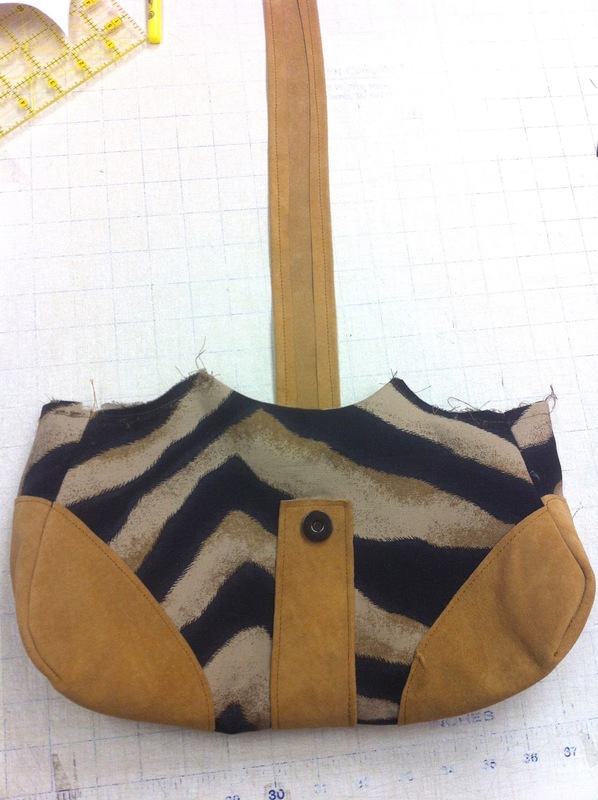 While the directions said to start with the lining, I just couldn't wait to get started with the body of the bag. The body is very cleverly shaped. The directions say to "Trim the upper seam allowance from the overlay panels". I contemplated this for a long time. Too long, and I still got it wrong. Wherever the seams(darts) are to be sewn, do not trim the allowance off. 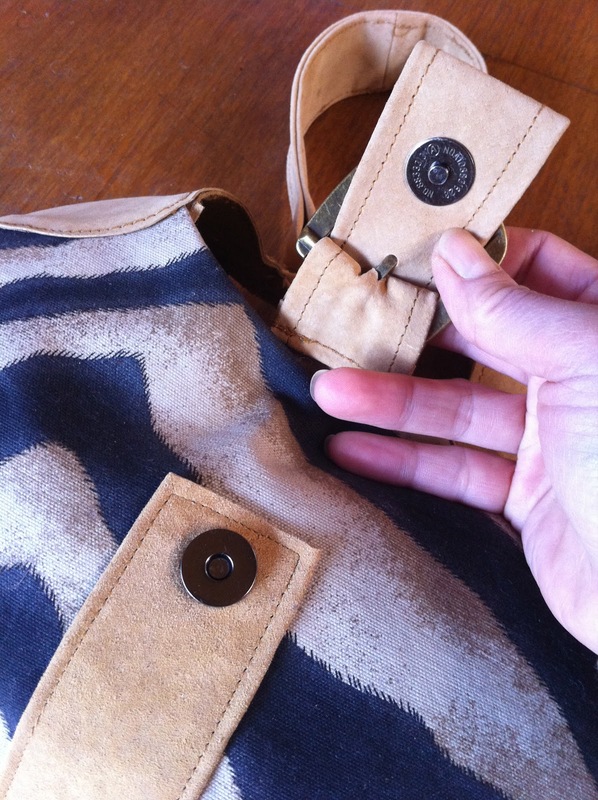 Where the cut edges are topstitched onto the bag, trim those. I didn't understand the wording in the directions, and I cut all the seam allowances off the overlay pieces, so the corner seams on my bag are not as neat as they should be. I had to make sure the edges were enclosed. 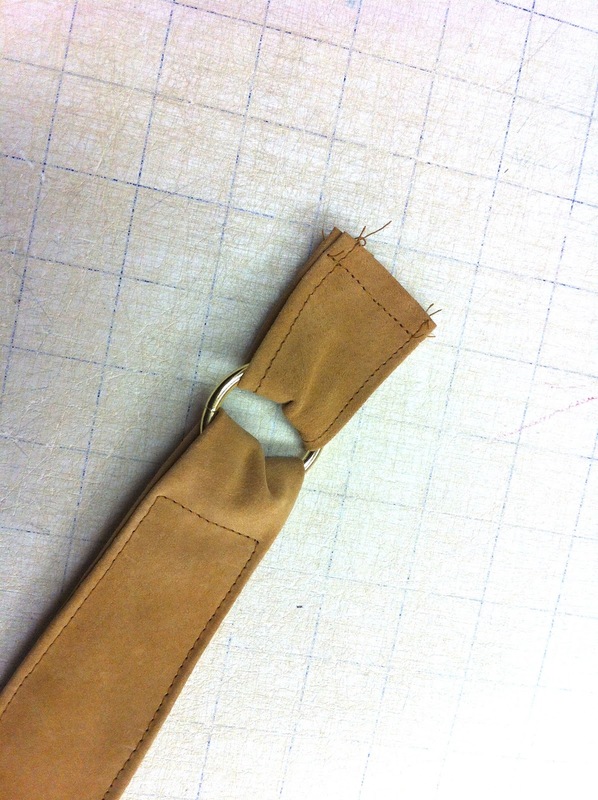 The directions say to sew the darts (which are curved, by the way) first, then the side seams. 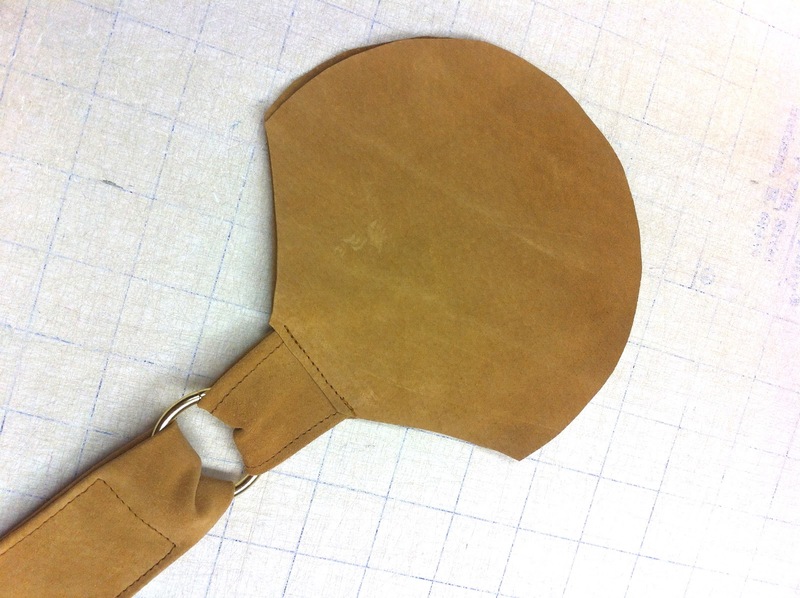 I think you can start at the top edge and sew the seam and the dart all in one, making sure the edges of the leather are even. The hardest part of this project is getting the corner pieces on. The top side edges of the bag are enclosed in the leather corner pieces (2 pieces each side). I do not have any better suggestions other than maybe glueing the inside corner piece to the edge first, then laying the outer piece on and topstitching all around. 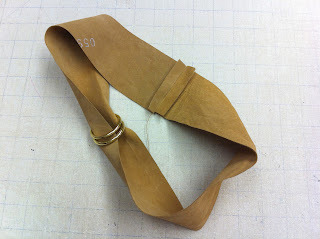 I added a buckle with a hidden magnet snap instead of D-rings so the bag would be easier to clasp. This idea came from a purchased bag I own. I did not put in the studs because the leather is beautiful on its own. Also, adding the studs seemed like it would have been a lot of trouble for the first try. I was most afraid of not being able to understand the directions. 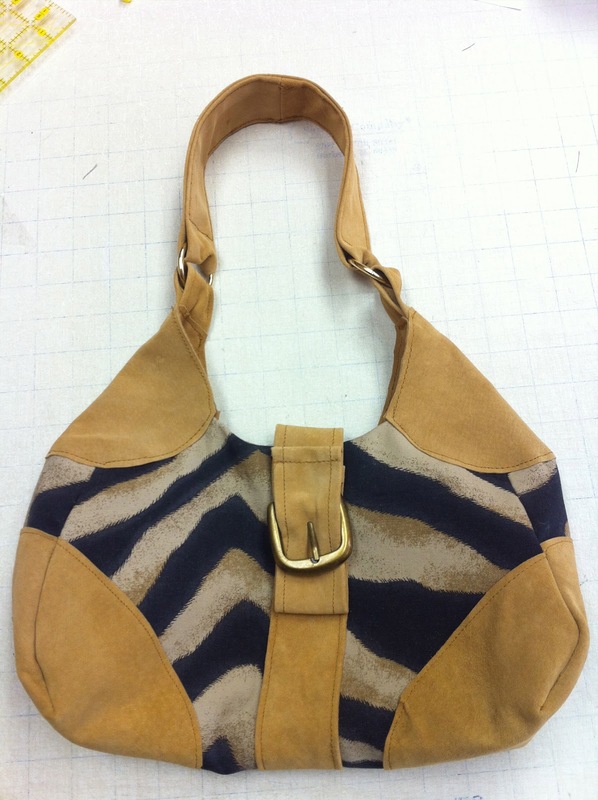 But except for adding the corner pieces, this bag is not difficult to sew.